I love jewelry! I feel so lucky that I get to make jewelry for a living. Each new project, order, and piece I make receives a lot of love! I started making jewelry right out of college in 2009, and I never would have guessed that three and a half years later, I would have sold over 5000 pieces!! Thank you so much to every customer and fan of Brittany Chavers Studio for helping me reach a dream I didn't even know I had chance of achieving! All of the giveaways, in which I participate, are a little thank you from me to you! OFFER: 15% off for using coupon code "SweepstakeLover" in the coupon code box at checkout from now until the winner is announced. I love the Neutral Ribbon Rosette Necklace! I really like this pink and green necklace: http://www.etsy.com/listing/114521055/pink-and-green-beaded-necklace-buy-3-get? I love this neckalce: http://www.etsy.com/listing/104631920/green-turquoise-crackle-bead-necklace? I love this one: http://www.etsy.com/listing/104280458/purple-and-white-beaded-bracelet-buy-3? I love the Yellow Enamel Flower Necklace: http://www.etsy.com/listing/101256011/yellow-enamel-flower-necklace-buy-3-get? Enamel Bumble Bee Earrings are my fave. So cute! The Chunky Tuquoise Rose Ring is beautiful! I like the colors in the http://www.etsy.com/listing/62317463/asymmetrical-pink-and-green-rosette? I like the Natural Ribbon Rosette Necklace. I like the Simple Blue Ocean Crystal Necklace. I like the yellow enamel flower necklace. I like Purple Beaded Bracelet. 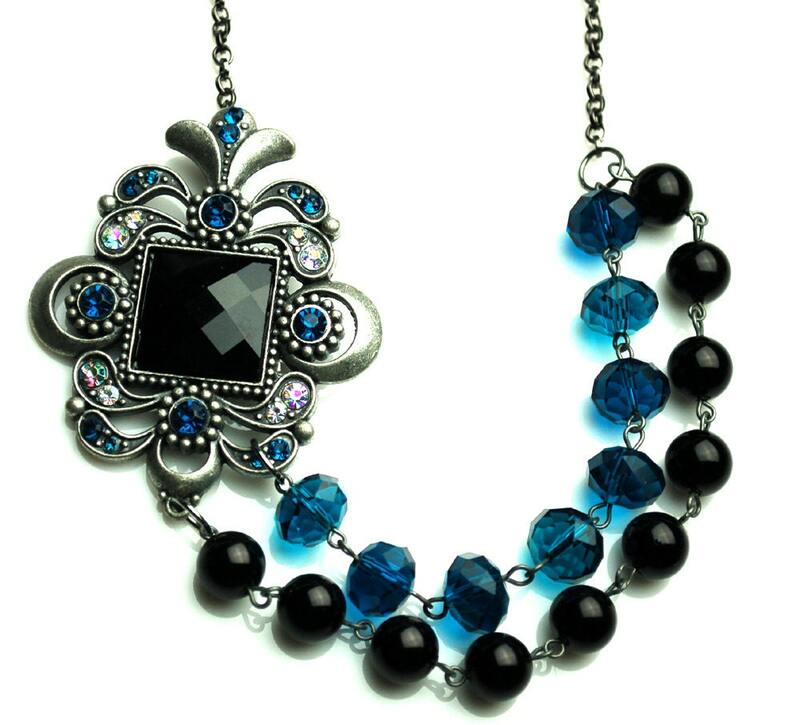 I really like the Multi Colored Enamel Flower Bib Necklace! I love Tiny Silver Horseshoe Necklace http://www.etsy.com/listing/108968910/tiny-silver-horseshoe-necklace-buy-3-get? 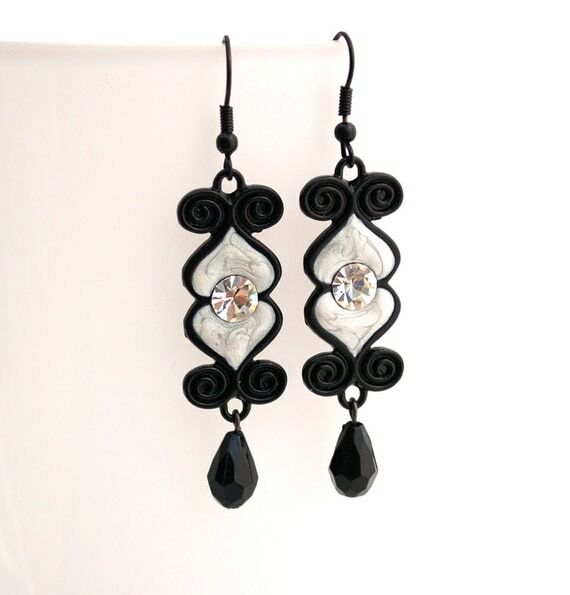 I love the cherry red flower earrings,they are sooo pretty.Would love to show these off. I like the Tiny Blue Enamel Bird Necklace. 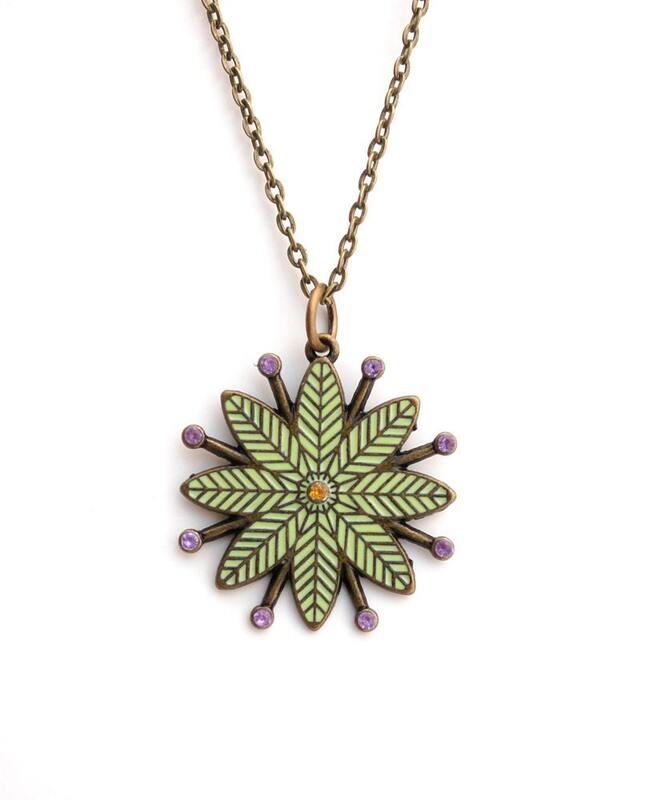 Love the Asymmetrical Multi Colored Enamel Flower Necklace! Love the antique brass bird and flower, but it's all pretty! I like the looks of the Olive and Antique Gold Bauble Earrings. 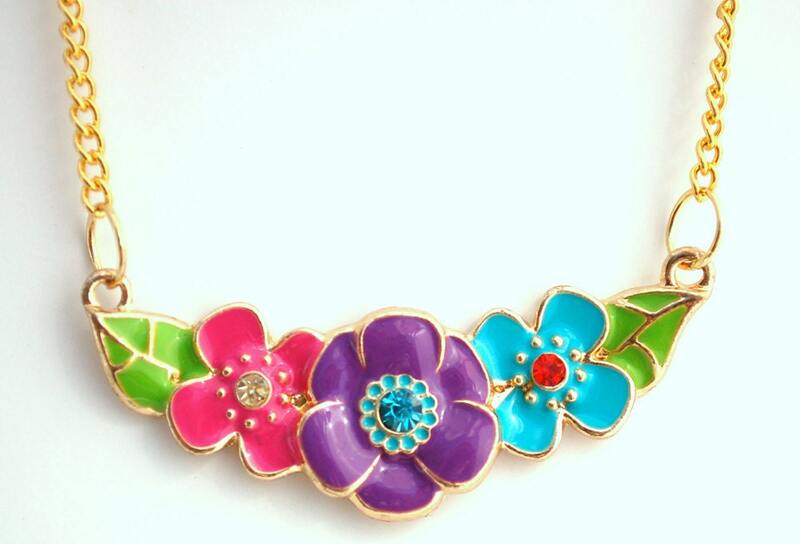 I love the Asymmetrical Multi Colored Enamel Flower Necklace. I love the Asymmetrical Magenta Sakura Flower Necklace. This necklace is cute: http://www.etsy.com/listing/104631920/green-turquoise-crackle-bead-necklace? I like the yellow bead necklace. 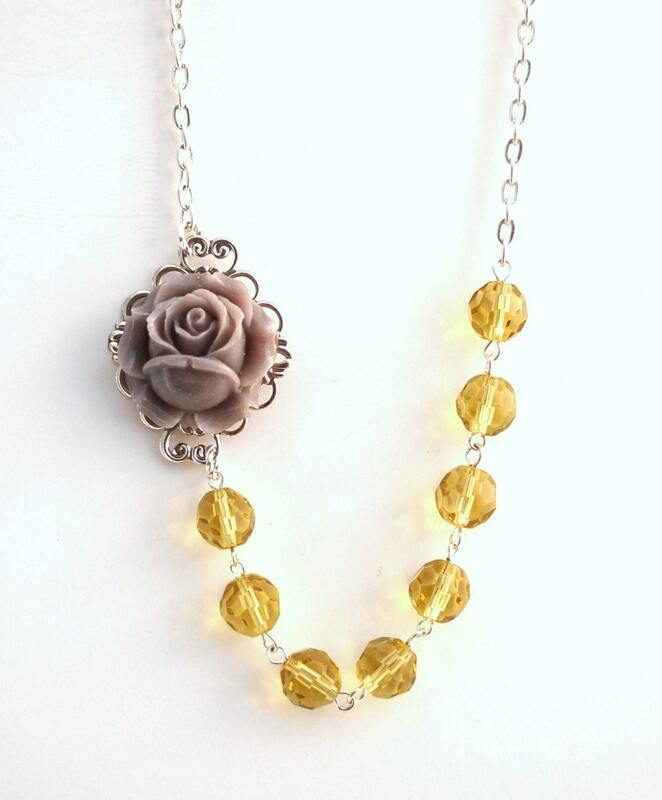 I like the Asymmetrical Yellow and Gray Rosette Necklace. i love love love love this necklace.